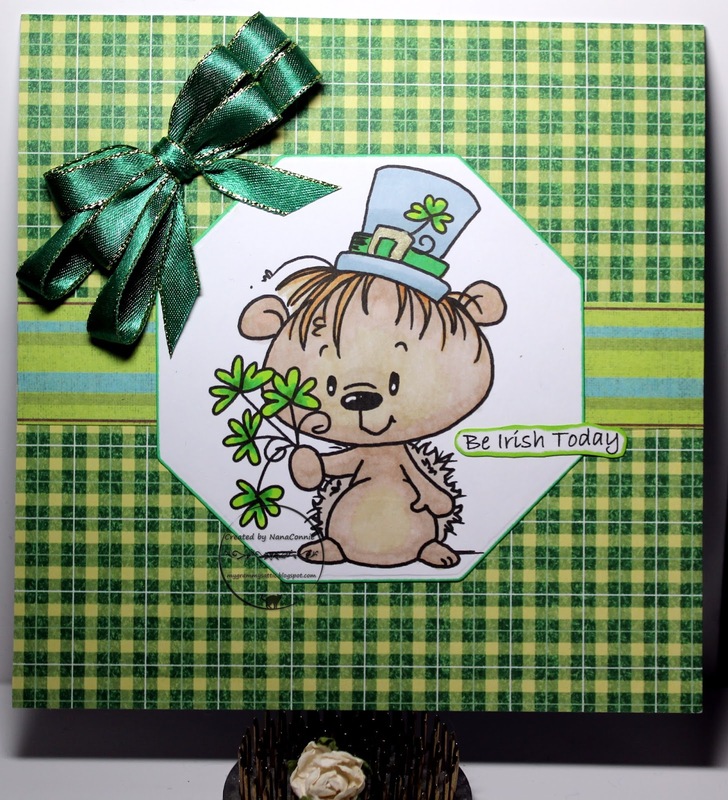 When I saw this darling March Hedgie with his shamrocks from Bugaboo Stamps, I grabbed it right away. I started by coloring the image with my ProMarkers , then I cut it with an octagon die from Spellbinders. I inked the edges with a ProMarker. I dug through my stash of green papers until I found that gorgeous plaid. As soon as I saw it, I knew it was the perfect paper for a monochromatic, green, St. Patrick's card. I checked my basket of scraps and found the striped paper which went across the middle. I printed, hand cut, and inked the sentiment before applying it. The final touch was the quadruple loop bow which I made using my bow maker. That really is the perfect paper for this card! Cute image and a fun design too. Love that pretty bow! This is so cute, love this cute bear and wonderful paper. A fabulous bow too. How exciting that you have your birthday coming up on such a day...I'm FAR from Irish, hehe. Great ribbons and paper with that adorable image. Thanks for joining the Catch the Bug Anything Goes Challenge, Lisa Lynn DT. 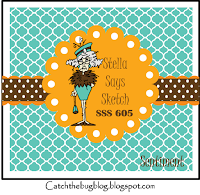 Everything fits on your gorgeous card: the great gingham papers and the striped one, your coloring of the adorable image, and besides it will be your birthday on such an important Irish day! Oh my goodness!! What better day to be born on if you are of Irish Heritage!! As my Mom would have said "your as Irish as Patty's Pig"! I love the Irish plaid paper and that adorable hedgie! This is adorable! At first glance your sweet card looked like a beautifully wrapped gift. This bear is unbearable cute! I hope you will have a great bday this Saturday and thank you so much for joining us at Cuttlebug Mania.